The Garmin DriveSmart Range of Sat Nav's in Garmin's all new 2016 Sat Nav's that have been designed to get you from A to B in the quickest and most importantly safest possible time. 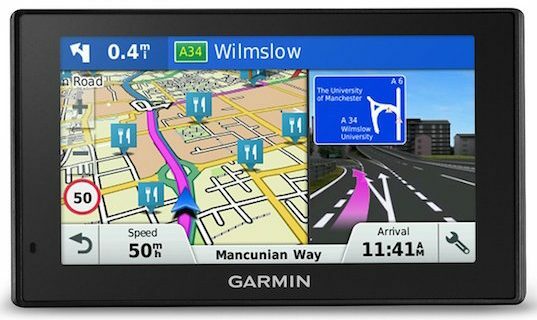 We loved the 2015 range of sat nav units from Garmin so much we gave the Garmin 2797LMT the top award as our best sat nav on the market in the UK, however this DriveSmart range, takes the sat nav range to a whole new market. If I am honest, the screen, interface, menu system has not improved that much over the previous model, but what has drastically improved is the features for both driver awareness and connectivity with the DriveSmart range bringing a whole new list of features that we have not seen before the sat nav market. Driver awareness features include alerts for dangerous curves, speed cameras and even up and coming sharp corners, whilst connectivity really centers around connecting your smartphone to your sat nav meaning that you can keep your eyes on the road and hands on the steering wheel. The DriveSmart range of sat units comes in three sizes with really the only difference being the size of the screen. The range consists of a 50LMT that comes with a 5-inch screen which we think is slightly too small especially if you're wanting to use the dual screen features, ​a 60LMT which features a 6-inch screen which we think is the perfect model as it offers the right screen size for dual screen vision whilst at the same time not being so large that it does not fit into the glovebox of your car, and a 70LMT which offers a 7-inch screen which whilst we do love, it's just going to be a little too big the for average user. If you have a large storage box in your car, then buy the 70LMT otherwise buy the 60LMT. Given the Garmin DriveSmart 60LMT is our favourite model of the Garmin range, let's start here. We reviewed this model over a number of weeks and ended up buying one given that we needed an upgrade for the previous Garmin 2797LMT that we used. The 60LMT comes with a 6-inch zoom pinch display that offers crystal clear direction viewing even in direct sunlight or low light conditions. Maps are fantastic with the unit offering full maps in Ireland, the UK and the entire Europe which also includes both free map updates and Garmin Live Traffic for lifetime of your device. To upgrade your device, you simple have to download the free app on your phone which allows you to get updates and various other things. This should mean that you're never going to run out of routes because the road does not exists on your sat nav and you should be able to stay out of any oncoming traffic along your route. The driver alerts offered by Garmin DriveSmart sat nav encourage drivers for safe driving by increasing their awareness about the situations. They alert about speed changes, forthcoming sharp curves, animal crossings and railway crossings etc. Along with it this navigation device also notifies the drivers if they are driving on wrong track like nearby school zones or one way road etc. It also alerts driver about speed cameras, sudden halts, upcoming traffic jams and nearby red light along fatigue warning on long drive. It also suggests about the potential areas for rest after driving for several hours. You can also know about milestones along the route and places up ahead without leaving the view of map by using its Up Ahead feature. The drivers can use hands free voice-activated navigation option to control this navigation device while driving safely with your hands on the wheel. Hands free calling by synchronizing it with Bluetooth enabled devices like Smartphone etc, display of the notifications on its screen and receiving text messages, reminders and calls on your phone without removing your hands from your steering wheel are some of the other features of this unique satellite navigation device which encourage the drivers focus on their driving while remaining updated with real time smart alerts and notifications displayed on its screen. The voice activated Active Lane Guidance feature of this navigation device prepares the drivers to drive confidently through complex junctions or exits. Its animated model uses arrows of bright colours to indicate your right route. You can get the detailed information of the junctions on your route by using its Bird’s Eye junction view feature. Moreover you can get realistic view of the junctions and landscapes on your route by using its PhotoReal Junction View feature. 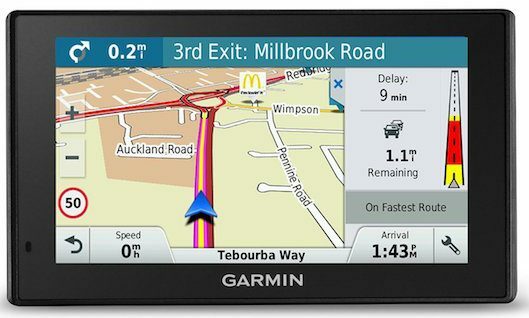 Overall we love the Garmin DriveSmart range of sat nav units. 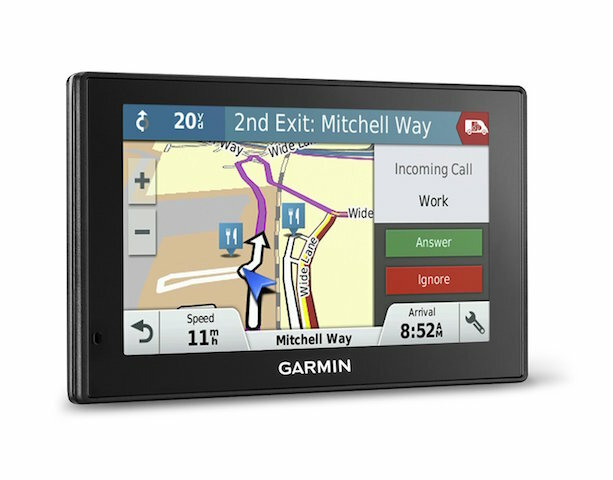 We love the fact that Garmin offers both fantastic performance and a combination of latest features for driver awareness such as smart notifications, hands free calling through Bluetooth and even lane guidance navigation. Generally we think the Garmin DriveSmart range of sat units is the ​best satellite navigation units on the market in 2016 and offer the best driver performance to get you from A to B.